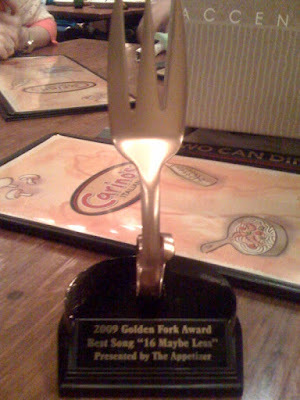 In the next few weeks, we'll tell you who won all of the 2009 Appetizer Golden Fork Awards. 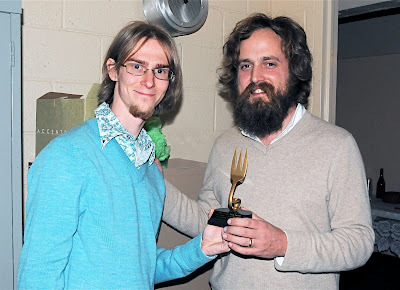 As you know, we did present one winner with the first ever Golden Fork Award-Iron & Wine! Check out the pics to see our presentation to him. All future blog entries will be posted here. Just wanted to let you know I just discovered your blog. It just comes to me with the information I was just looking for. Yes, I was looking some info about Golden Fork and I found it. Added you to my favorite sites.